I was recently asked if I wanted to try the Lauren's Way Darker Than Dark Self Tanner, having just been on holiday and getting absolutely no tan, (the before picture is from after my holiday!!) I thought it was the perfect opportunity to add a little bit of colour to my skin! 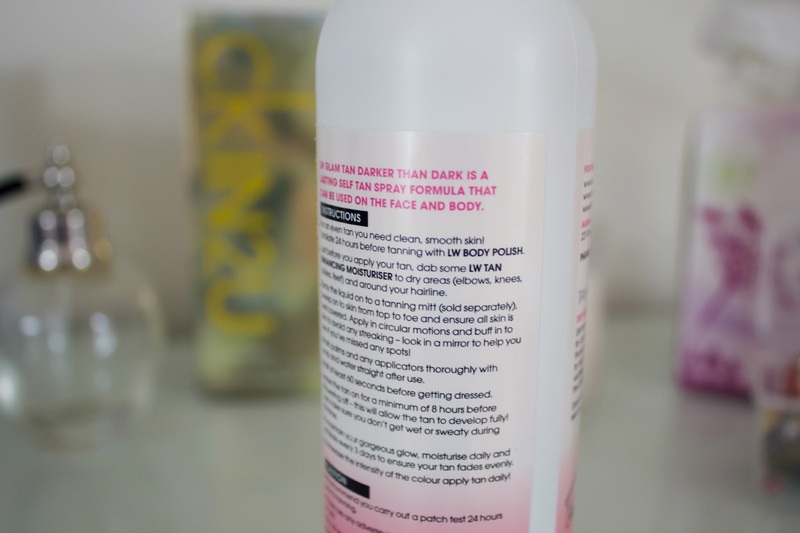 The bottle had a spray which I find really easy to use, I simply spray once or twice onto the tanning mit (you can see this here) and apply it on my skin. 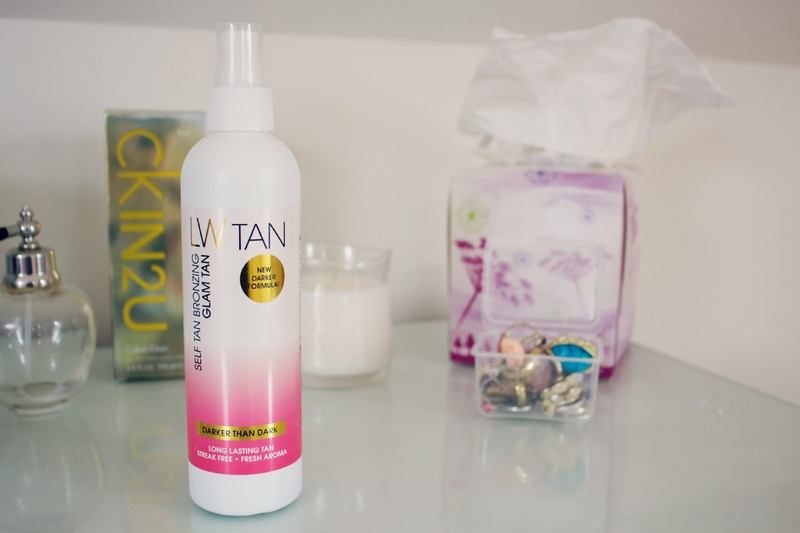 I find that the spray bottle creates less mess than other tans I've used! I was a little worried at first about the fact it's called "darker than dark" as I didn't want anything too dramatic, being very pale naturally! When you first apply it, it is quite dark and you leave it on for eight hours before showering. After the eight hours and just before showering I did look very dark however once I had showered the colour was a lot more subtle. As I wanted a more natural colour I didn't apply a lot so if you do want to end up with a darker tan just apply more than I did. The tan does smell a little bit "fake tan like" for the eight hours before you wash it off but after that, there is no smell at all which is great! I have got so many compliments from people including my mum who said she was "very impressed" with how good the tan looks, I think she wants to try it out! 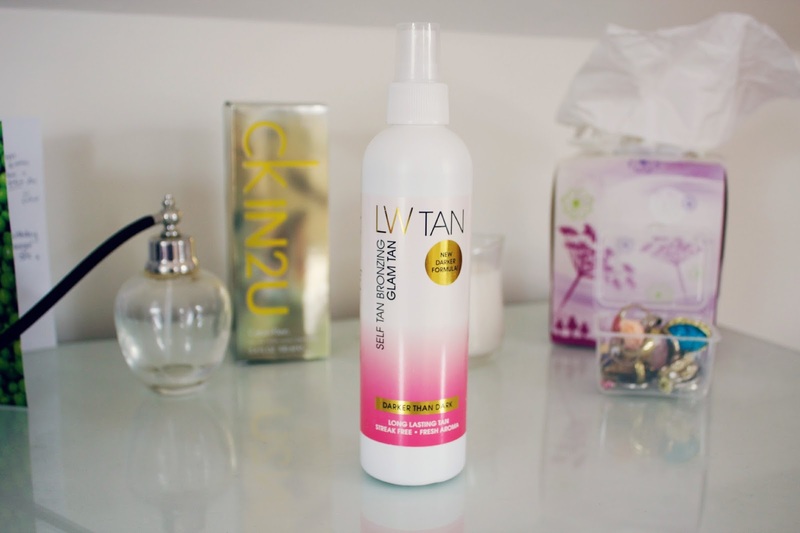 I think this tan is great for if you want a natural tan or if you want a more dramatic tan as you can achieve both with this! The tan is long lasting and I went for about a week before touching it up. Overall I really love this tan and will definitely continue to use it, I have got such a lovely natural and not orange tan from it! 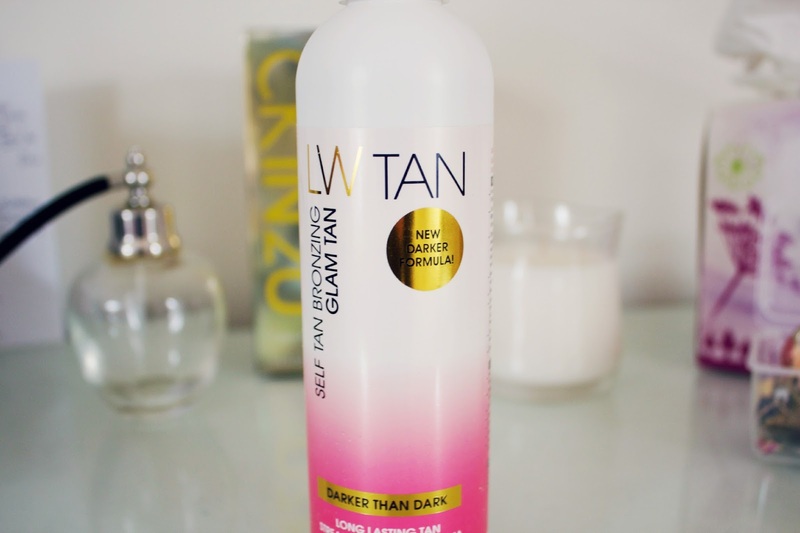 You can buy the tan from the Lauren's Way website, here!